Y’all, can we talk about Tabitha and DJ’s first date story for a second? They met here for their first date, at McMenimans edgefield last year during snowpocalypse. They immediately were smitten, and spent hours walking through the snow, drinking beers in the warm bar shed, and while Tabitha was in the bathroom, DJ texted a friend “I’m gonna marry this girl.” The rest is history! The more these two told me about their love story, the more excited I got to be a part of the main event in June. 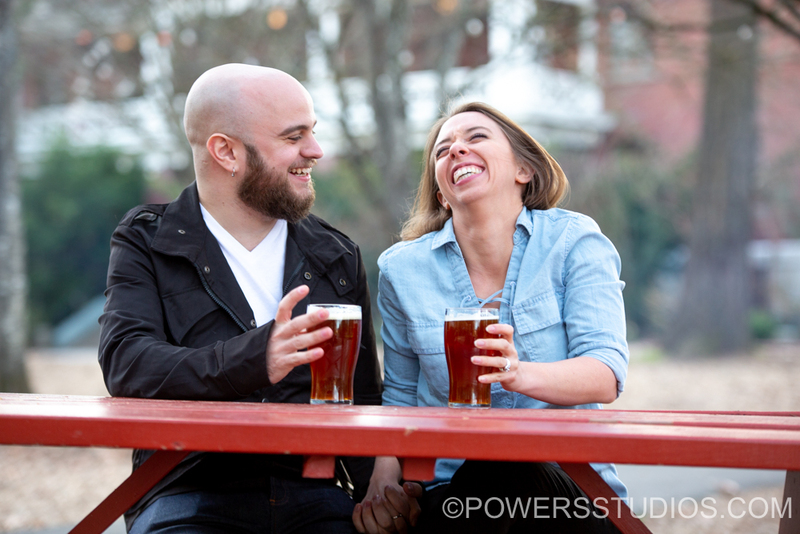 Not to mention that these two are so fun to photograph and crack each other up without prompting!